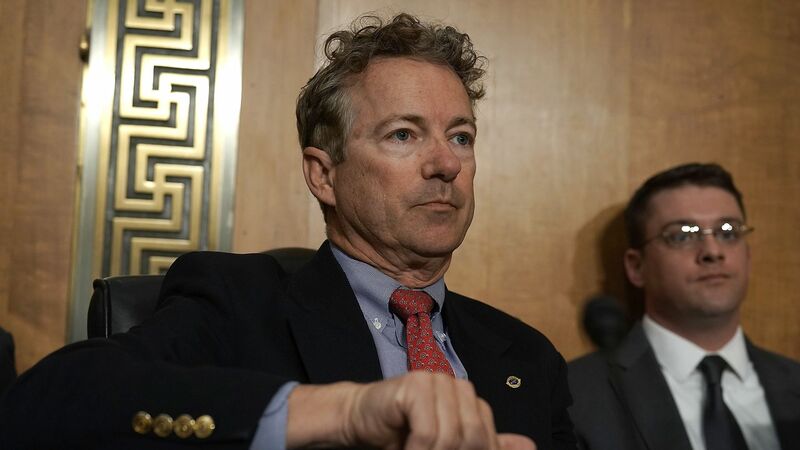 Sen. Rand Paul on Thursday blocked a resolution calling for special counsel Robert Mueller's report to be released to Congress and the public. The big picture: This is the 5th time that Republicans — led by Paul and Senate Majority Leader Mitch McConnell — have blocked the resolution, which passed unanimously in the House last month. Paul has argued in favor of an amendment calling for the release of communications between Obama-era intelligence officials that he says could shed light on potential "misuse of power" leading up to the launch of the Trump-Russia investigation. The Senate resolution comes on the heels of reports in the New York Times and the Washington Post that members of Mueller's team are dissatisfied with Barr's summary of the "principal conclusions" of the special counsel's findings. The House Judiciary Committee, meanwhile, has authorized a subpoena compelling Attorney General William Barr to turn over the "full and unredacted" Mueller report. Barr has said he would provide a redacted version of the report to Congress by mid-April. If he does not comply with the subpoena, it could set up a lengthy court fight.